::: Top dance crews from around the pacific met at The World Supremacy Battlegrounds (WSB) in Sydney, Australia on November 26, 2011. WSB is the biggest and most prestigious hiphop street dance competition in the Southern Hemisphere. Congratulations to all the competitors and winners! You were all amazing. Hope to see you all again next year. 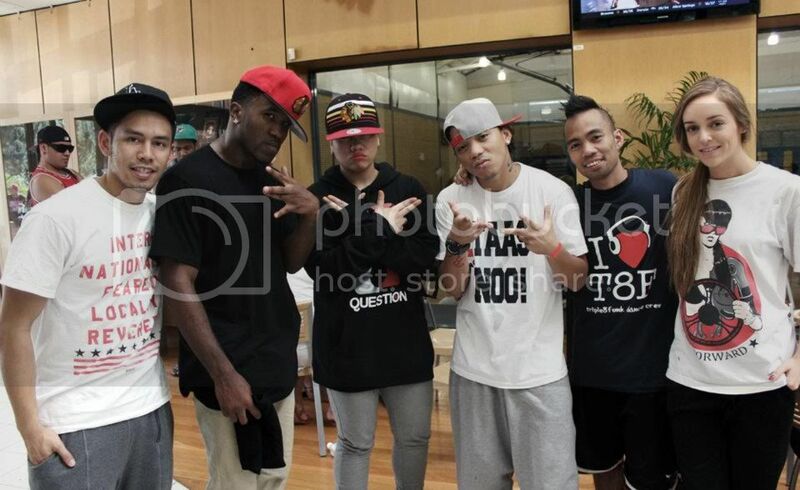 Top dancers & choreographers who judged at WSB: (from left) Alvin De Castro (Sydney AU), Tight Eyez (Krump Founder / Street Kingdom, USA), Parris Goebel (ReQuest, NZ), Lil Pat (Philippine All Stars, Philippines), Joel Gallarde (TRiPLe8FuNk, AU/NZ), Lizzie Wicks (Brisbane AU).